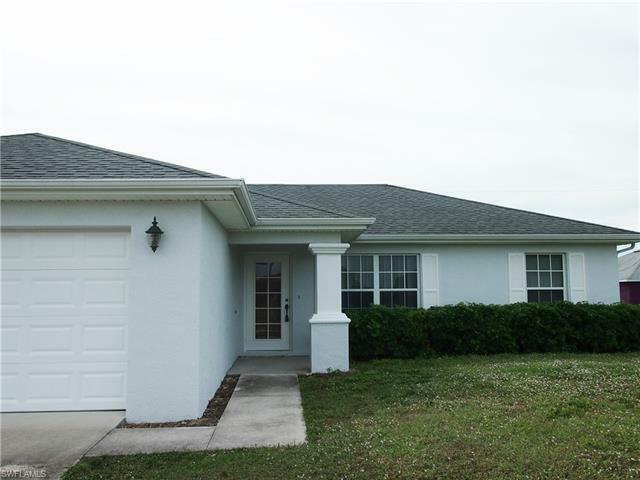 Great opportunity to own this lovely 3 bedroom, 2 bath, 2 car garage home located in NW Cape Coral. Close to Schools, parks shopping, and Amenities. Great features include recently painted exterior, open kitchen floor plan with high voume ceilings, inside laundry and all appliances including side by side refrigerator, carpet throughout, built in desk. Dining room and living room with large sliding doors out to the nice size covered screened in lanai and backyard plenty big for a pool. Convenient to the local boat ramp taking you to the outer islands, beaches and fishing in intercostal or Gulf of Mexico. Pay less for this house than rent.